Georgians are shocked and saddened today by a truck crash on I-16 in Bryan County that snuffed out the promising young lives of five nursing students at Georgia Southern University. The crash happened about 5:45 AM in predawn darkness on Wednesday. The five nursing students were in a sedan and SUV headed east on I-16, going to their last day of clinical training for the semester at St. Joseph’s/Candler Hospital in Savannah. Traffic had slowed due to another accident ahead. A tractor trailer failed to stop and crashed into the stopped traffic, causing a seven vehicle pileup. 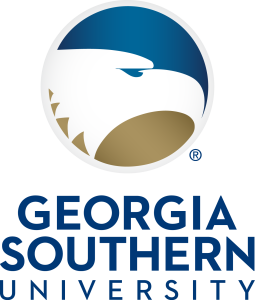 The Georgia Southern students were in an SUV and a passenger car, both of which were impacted. The passenger car burst into flames. The tractor trailer was operated by Total Transportation of Mississippi, LLC, based in Richland, MS, a suburb of Jackson. A subsidiary of US Xpress which is based in Chattanooga, Total has unsafe operation score worse than 90% of all motor carriers in the US. On the Federal Motor Carrier Administration website, it lists 748 trucks and 938 drivers, registered to haul general freight in 48 states. The cause of the truck driver’s inattention is unknown at this time. At that time of morning, fatigue is a likely suspect if he had driven through the night. Federal Motor Carrier Safety Regulations limit interstate truck drivers to driving 11 hours out of a 14 hour shift before a 10 hour break. Even if there is not an hours of service violation, a driver can be impaired by fatigue due to other factors including disruption of circadian rhythms. Another common possibility is cell phone distraction. Federal Motor Carrier Safety Regulations prohibit use of handheld cell phones during operation of a commercial motor vehicle on the highway. However, at that early hour cell phone distraction may be somewhat less likely. In any event, I hope the SCRT team obtained a search warrant for the data recorded on the phone’s SIM card. I am 99.9% certain that the trucking company had a rapid response team, under the direction of a trucking defense lawyer, at the scene about as soon as ambulances arrived. Before the families of these students learned of their tragic loss, the company probably had at least one retired law enforcement investigator and a defense lawyer there to observe and, if possible, influence the investigation. We have handled cases in which crucial evidence was lost from a crash scene while the state troopers were dealing with hurt people and traffic but the company’s rapid response team was concerned only with minimizing the company’s legal problems. For a parent, it is hard to imagine anything worse than the sudden death of a child. Contrary to the normal order of nature, it is like having a hole punched in the heart. Two other nursing students, Megan Richards of Loganville and Brittney McDaniel of Reidsville, were injured and transported to a Savannah hospital for treatment. By Thursday afternoon, Richards had been treated and released. No information has been made public on McDaniel’s condition. The crash scene as portrayed in news reports was strikingly similar to a case we are preparing for trial in the fall in Brunswick. In that incident on I-95, a truck driver was on his cell phone more than 20 minutes up to the time of the crash, talking with someone in Colombia, South America, and did not notice any of the vehicles stopped in the road ahead of him. In this case, my educated guess is that it will take several months for the Georgia State Patrol Specialized Collision Reconstruction Team (SCRT) to complete all details of investigation and reconstruction. Unless alcohol or drugs turn up in the truck driver’s blood test, I expect these deaths will be prosecuted as five counts of misdemeanor homicide by vehicle, plus whatever other traffic charges may be included, in the State Court of Bryan County at Pembroke. Each misdemeanor count is punishable by up to 12 months incarceration. In that court, Ray Smith is the Solicitor General and Jack Carney is the Judge. The prosecutor can withhold access to the SCRT investigative report while criminal charges remain pending. Most seasoned prosecutors, however, are willing to share that file with attorneys for victims. Civil cases arising from this crash are likely to end up in federal court due to diversity of citizenship between plaintiffs (mostly Georgia) and defendants (company in Mississippi, driver unknown). One option would be the U.S. District Court for the Southern District of Georgia in Savannah. Because a couple of the young women were from metro Atlanta, another possibility would be the U.S. District Court for the Northern District of Georgia in Atlanta. If a Georgia resident could be found to credibly share fault, the civil cases could be filed in the county where that Georgia resident resides, avoiding the red tape of federal court. Ken Shigley is past president of the State Bar of Georgia, a certified civil trial attorney of the National Board of Trial Advocacy, lead author of Georgia Law of Torts: Trial Preparation and Practice (Thomson Reuters West, 2010-15), and chair-elect of the Motor Vehicle Collision, Highway & Premises Liability Section of the American Association for Justice. His practice is focused primarily on commercial trucking liability cases.